A majority of clients who enter methadone programs do so without immediate family involvement in the admissions process. Often, a significant other knows of their loved one’s decision to enter treatment, but chooses to remain “on the outside”. There are several reasons for this including: apprehension about methadone clinics, feelings of embarrassment that their loved one has an opioid addiction, not wanting to invest time in the recovery process, or simply being too busy to spare the time. 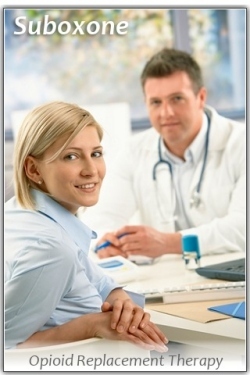 Consequently, clients enrolling in methadone treatment programs typically go it alone early on. It is of course highly beneficial for each client to have some outside support, encouragement, and to be able to share their recovery journey with someone who cares about their struggles and progress. I have found that many family just do not understand opioid addiction or the enormous benefit that medication-assisted treatment provides to those who are embarking on the journey of early recovery. There exist a notable social bias too against methadone which is born almost exclusively out of a lack of education on methadone’s efficacy as a medically-approved form of treatment for opioid addiction. 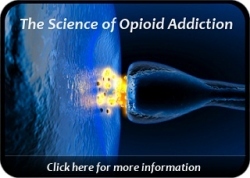 As has been stated on this website, the media have done an extremely poor job of reporting the widespread benefits of methadone as a useful opioid replacement medication. These factors sometimes steer families in the direction of harboring critical views & fears about methadone (or buprenorphine) as a legitimate addiction intervention. Where there is fear of something (whether justified or not), there usually exists detachment from, and a negative view of, that which is feared. I have had the fortunate experience of meeting families, educating them on methadone as a recovery tool, and being able to answer questions about our methadone program. This face to face contact almost always builds a bridge by demystifying methadone and what it represents in the addiction recovery process. Education, knowledge, and trust consistently replace ignorance, fear, and negative social stigmas. When a family member comes to understand how methadone works and how it is part of a larger recovery effort, that person then becomes part of the recovery solution. Recovering individuals need this acceptance and family support. It is so very valuable. Educating the family on methadone treatment can be accomplished in a variety of ways. A pamphlet, a phone call, inviting them to a family counseling session, or referring them to a fact-based website on methadone’s purpose. Helping families understand addiction and addiction solutions is always a worthwhile effort. A methadone clinic where I work has received a surge in calls from prospective clients who are interested in methadone to deal with their opioid addiction. We typically perform a telephone triage when someone calls, which is a sort of mini assessment to determine what services a client may be eligible for. After completing this brief telephone interview, we then offer recommendations which may include potential admission to our clinic for methadone treatment. Some of these callers are currently in methadone treatment at a competing agency, but are interested in transferring to our clinic. The reasons for requesting a transfer are numerous. Sometimes it is because the client can save money, or they are simply closer to our particular location (less driving time). I have had some clients report that they receive practically no counseling. In other words, they are basically paying to dose each day with methadone (which obviously eliminates their withdrawal symptoms), but they are receiving very little psychological counseling to help them understand their addiction, or to aid them in developing sound relapse prevention practices. While it is true that some clients desire only dosing, many clients are interested in participating in counseling sessions to help them achieve improved coping skills and a better quality of life. Clients who aim for this type of comprehensive growth stand the best chance of having a real and complete lasting recovery. This, of course, raises the inevitable question as to whether methadone alone is ever enough. There is a school of thought that methadone alone is much preferable to illicit drug use. I happen to agree that methadone is a much better substitute for illicit opiates, and there is a significant “harm reduction” benefit that is gained when an addicted individual utilizes methadone under the supervision of a reputable clinic. Another view on this subject is that methadone, in conjunction with counseling, is the superior treatment approach. I fully endorse this viewpoint and know firsthand how recovery is accelerated and enhanced when an addicted individual wants to learn, grow and change through the process of counseling & education. Perhaps there is value in both approaches. Some individuals who are stabilizing on methadone, but who are not yet invested in counseling, can still be moving in the direction of recovery. Perhaps they are now refraining from injection drug use and illegal behaviors. Perhaps they are feeling better physically and are able to work, or now care for their family with daily withdrawal symptoms being eliminated. If this is the case, who among us can deny that these improvements have value? Recovery is a process that involves forward steps. Sometimes, the addicted person has only enough energy to take one forward step. That first step may be the decision to receive methadone instead of injecting heroin or snorting Oxycontin. With time, the addicted person may become ready for more. When they become ready for counseling, we as treatment providers want to be ready to give them what they need. Recovery occurs in stages and plateaus. The recovering individual can achieve as much positive change as their heart desires. Counseling is a powerful medium for this positive change. Methadone plays a very important role as well.